Deeana Betsamo is a passionate Los Angeles based Publicist working with clients from various industries including entertainment, addiction treatment, health/lifestyle, legal, and more. In 2016, Deeana joined Valerie Allen Public Relations as an intern. Through her hard work, dedication, and persistence, she was able to quickly work her way up to Junior Publicist. 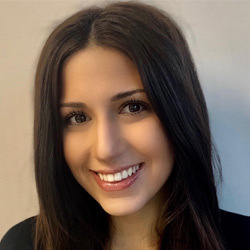 Utilizing her strong writing, strategic skills, and work ethic, Deeana is able to successfully manage, oversee and elevate a variety of brands at Valerie Allen Public Relations. Some of her most noted accomplishments to date include securing CNBC, Fox News , KTLA, ABC7, Good Day LA, SIRIUSXM, Huffington Post, HealthLine, and many more. Deeana graduated from California State University, Northridge in 2018 with a B.A. in Communication Studies. In addition to this, Deeana serves on the board of the Assyrian American Association of Southern California as the Executive Secretary.